Meet Sarah Holman, a 4th grade teacher and mother of 3 living in Early County. As a part of Early Choices’ continued efforts to support local parents in raising happy, confident kids, we are bringing you profiles of local parents and grandparents as well as inviting guest bloggers from across the country to write about their own experiences. Our goal? To arm parents in our area with tools to become more confident in their parenting skills by addressing common challenges that today’s moms, dads and grandparents face every day. 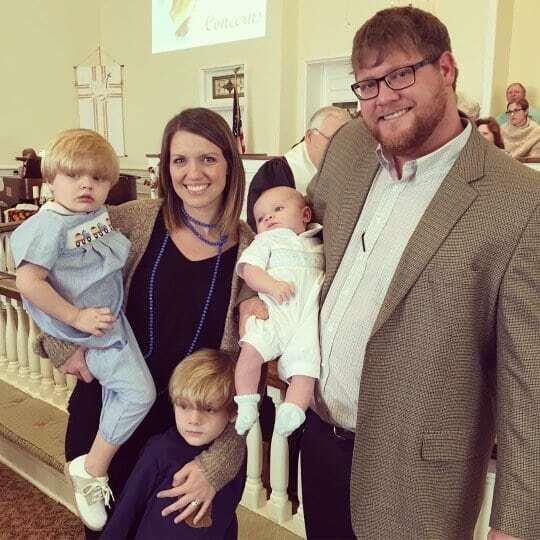 As a mom of 3 boys and a full-time 4th grade teacher, Sarah has great insight into both the challenges of being a working mom and also the responsibilities of helping shape other children. As a teacher, Sarah recognizes one of the perks – an actual summer break. She was able to take the boys to Chehaw Park this past week and enjoy some down time. There are difficult moments, too, though. “Last week my husband was out of town, and I had a lot to do for work and at our house. I was unable to find a babysitter, so I was very frustrated.” Many parents can relate to those moments of feeling totally overwhelmed and being pulled in every direction at once. Parenting is not for the weak of heart! Sarah is certainly not alone in feeling this way – life has a way of taking the wind out of our parenting sails sometimes. We have to remember that we can only do the best we can do – we aren’t going to be picture-perfect parents every day…but being present and engaged is both a challenge and a priority. Early Choices: We’re Here to Help! The struggle of balancing being a self-sufficient single parent and asking for help can be a difficult one to overcome. As parents, many of us want to think we can handle it all – which is, frankly, not reality. One of the myths Early Choices’ Parenting Initiative hopes to shatter is that parents magically know to handle everything, along with dispelling the stigma that can be associated with seeking advice. Whether you’re a working parent, like Sarah, a single mom, the parent of a special needs child, a homeschooling mom or dad, parents of multiples or any number of family scenarios – Early Choices hopes to be a place where you can come with your questions, your answers, your needs and your experiences.